Ahh, the smell of fresh cut grass, on a pleasant spring day, with a soothing breeze. OK, so it is usually cold, sometimes wet, and barely tolerable outside in the first couple of weeks of the softball season, but never the less, the softball season is here. And, in the 2nd Region, it appears it could be quite entertaining. You have the defending champion Christian County, with at least four other teams believing they can make a serious run, with two “dark horse” teams that will be no fun to play on any given day. It’s time to play ball. 1. 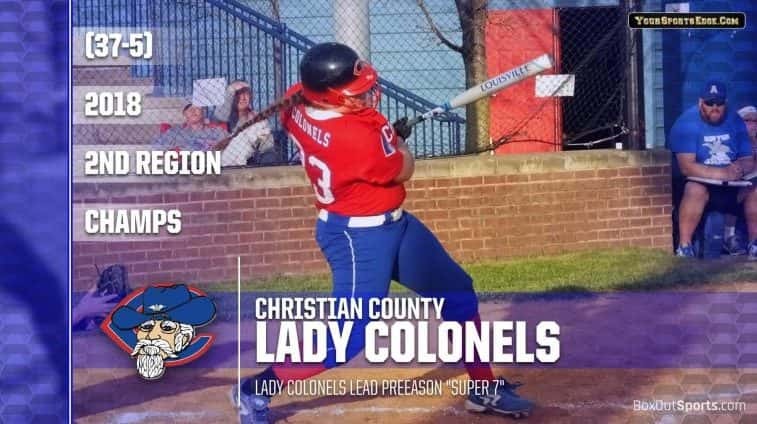 Christian County (37-5-1) – There is no doubt this team will score runs, and plenty of them. The biggest question for the Lady Colonels in their bid to repeat will be how their young pitching develops over the season. If that comes along, they will be hard to unseat as regional champions. Count on seeing the ball leave the park when this team plays. 2. Madisonville (16-9) – The 2017 state champs return arguably the best pitcher in the region in senior Courtney Patterson. But the Lady Maroons are far from a one girl team. They lost a heartbreaker to Christian County in the 2018 regional semfinals and figure to be right there competing again. A return to the top would not be a shocker. 3. Caldwell County (18-12) – Last year, the Lady Tigers were oh so close to returning to the state tournament, losing a 5-3, nine inning classic in the 2nd Region championship game. They return Katie Franklin in the circle and virtually everyone else behind her. It would not be a surprise to see them back playing in the regional final again. 4. Webster County (18-10-1) – When you look at the Lady Trojans, you start in the circle with senior pitcher Karlie Keeney. Additionally, Webster County lost only one senior from last year’s team that fell to Caldwell County 1-0 in the opening round of the regional tournament. A A team that could give you fits on any given afternoon. 5. Trigg County (22-14) – The Lady Wildcats won 22 games last season, yes 22. The question for Trigg County will be can they find a way to step up and beat one of the “big dogs” in the region and make a statement. 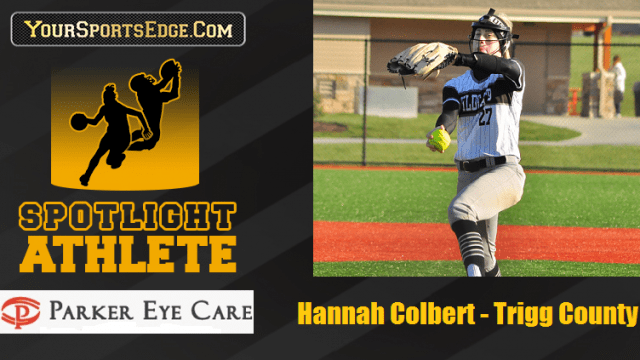 Senior pitcher Hannah Colbert will play a big role in how this team progresses. 6. Henderson County (9-16) – Shannon Troutman takes over the Lady Colonels softball program. Hattie Hartman transfers in from Webster County for her senior season. And, all of the young players that Henderson put on the field last season have another year of experience under their belts. Don’t expect another losing season here. 7. Lyon County (17-14) – The question for the Lady Lyons is much the same as it is for Christian County. Can the pitching develop quickly enough to take pressure off the offense. Calista Collins packs a “big” bat for Lyon County, but they do not appear to be a team that can win a slugfest every night out, so development of the pitching staff will be huge.